I adore cupcakes. They are so easy to make that you can knock out a basic recipe in next to no time. Not only are they very easy to bake they’re tasty and as they are small you don’t feel so bad when having a little cupcake compared to a big slab of, say chocolate cake. 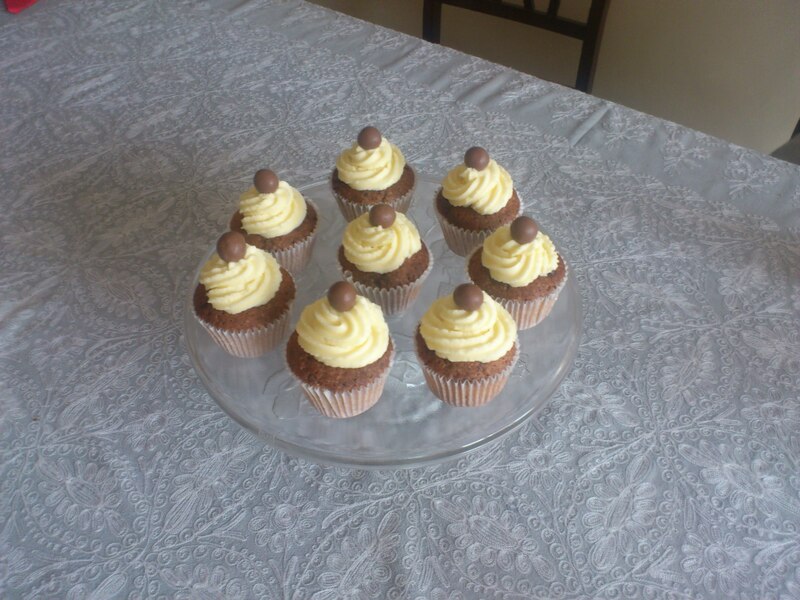 I have posted cupcake recipes before and they are always popular. With this series on cupcakes I wanted to marry the light and pretty cupcake with that other wonderful treat, the chocolate bar. I had to think a bit about this one looking to see if people had made these before and to see how others had added chocolate bars to cupcakes. I then thought about all my favourite chocolate bars and wondered which would work well as a cupcake and how to get the chocolate bar into the cupcake recipe. 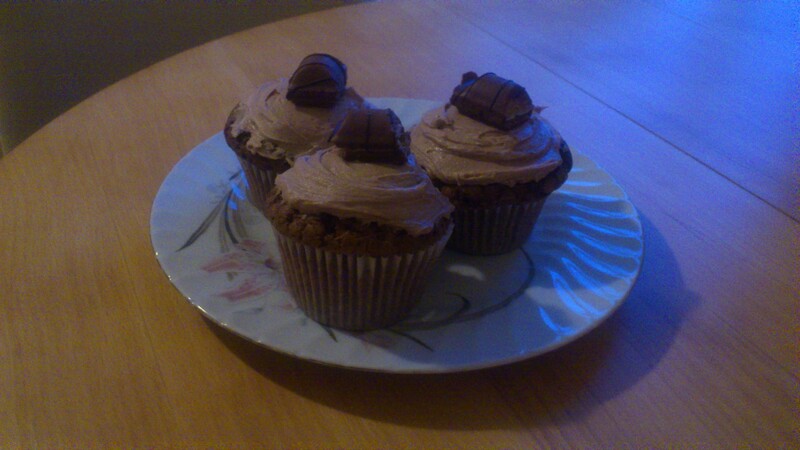 With this series on chocolate bar cupcakes I am being a bit more adventurous with how I decorate them. I am exploring new techniques to expand by baking knowledge and develop a bit of an artistic flair. I will share my success and any failures along the way in trying out new ideas and techniques with you all and I hope you will like them enough to try some of the recipes. I have been pleased with the results so far and will be posting more over the next two weeks as I create some naughty chocolate cupcake treats. 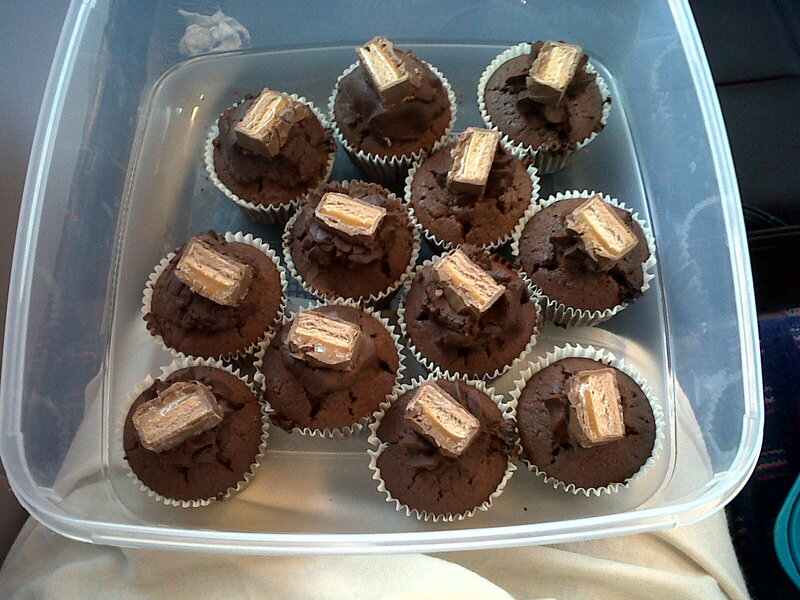 Chocolate bar cupcakes – Mars bar cupcake yumminess. Ummm, the honey bee cupcakes are too adorable! My dad used to call me “bumble bee” as a child because I got bitten so many times by bee’s.